If you thought swimming in the sea in parts of Otago was uncharacteristically warm last year, Niwa says it should be even better this year. A Tasman Sea marine heatwave in 2017-18 encouraged many southerners to flock to the beach - including those who are traditionally averse to cold water. 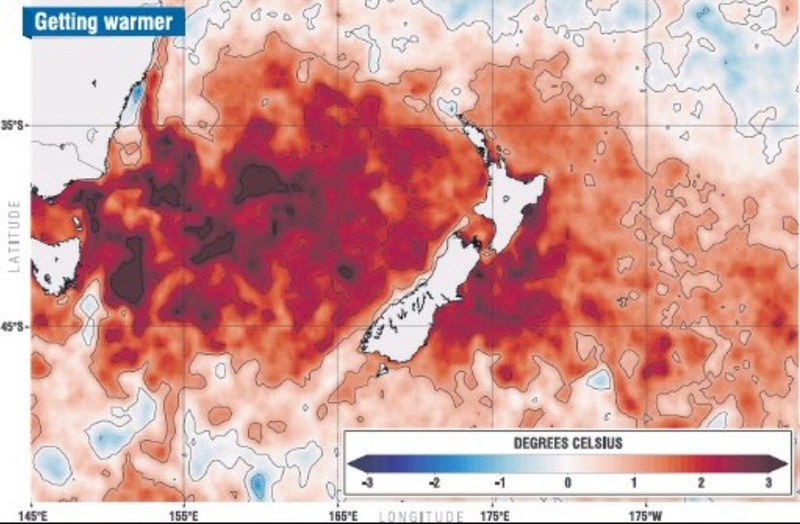 Niwa meteorologist Ben Noll said those same conditions have returned in the past several weeks, as sea surface temperatures have increased around New Zealand. Surface temperatures in the Tasman Sea are 2degC to 4degC above average, and New Zealand coastal waters are 1degC to 3degC above average. "Compared to last year, which was a marine heatwave for New Zealand and the Tasman Sea, it is warmer to the east of New Zealand than it was last year. "So it is valid to say some parts of the waters around New Zealand - including parts of Otago - are experiencing marine heatwave conditions." Mr Noll said sea surface temperatures were reaching 18degC in some parts of coastal Otago in the first few weeks of January. They cooled over the past few days because of a cold front which ran up the country, but he expected them to warm up again in the next few days. "Over the next week, a hot air mass is forecast to persist over eastern Australia and the western Tasman Sea. "This should lead to additional short-term [sea surface] warming." He advised summer bathers to make the most of it. Sea temperatures were volatile and might not last much longer. "During the last week of the month, there is the potential for a few low-pressure systems to track near or south of Tasmania, which could initiate a period of slightly cooler than average air temperatures and a reduction in sea surface temperatures."